New versions, developers, devices with support for Bluestacks, applications, network environments. Everything and so much more about Bluestacks App Player. In the last Mobile World Congress, AMD showed a new software, a dual-OS Android which allows the users to have a dual option Android-Windows. 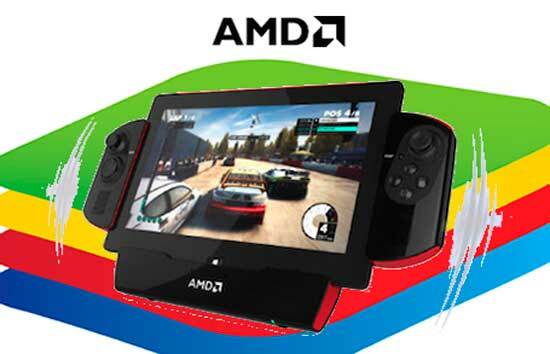 Initially, the BlueStacks dual-OS Android will be sold to retail stores in Europe this year. With the purpose of expanding their games to other platforms and devices, 5 top mobile developers (Animoca, Creative Mobile, TinyCo, Game Circus and Nevosoft) have joined BlueStacks GamePop Network. The users of GamePop service will enjoy some new titles, such as Pretty Pet Salon, Drag Racing, Lord of Storms, among others. BlueStacks launches the little sister of GamePop console, the Game Pop Mini. This new device will be free and the users only will have to paid the $6.99 per month of GamePop subscription which includes 500 popular mobile games. With this new promotion, BlueStacks wants to attract new users for its GamePop service and also new game developers. Thanks to a new technology called Looking Glass, it will be possible to include Iphone and Ipad apps on GamePop service. With Looking Glass you will enjoy on TV some of the titles that until now are only available on IOS. GamePop is a new product-service offered by BlueStacks so as to play mobile games on TV which includes a custom console and gaming controller. For less than $7 per month you can get this service. The company BlueStacks has announced content deals with some of the top game developers for GamePop, such as Glu Mobile or the creators of the famous Talking Tom, OutFit7. The Android emulator Bluestacks App Player has surpassed 10 million users since it was launched just a little over a year, in March, 2012. This software allows you to enjoy any mobile app on the computer. BlueStacks has been downloaded in over 100 countries, with a large number of users in USA, Europe, India, China, among others.